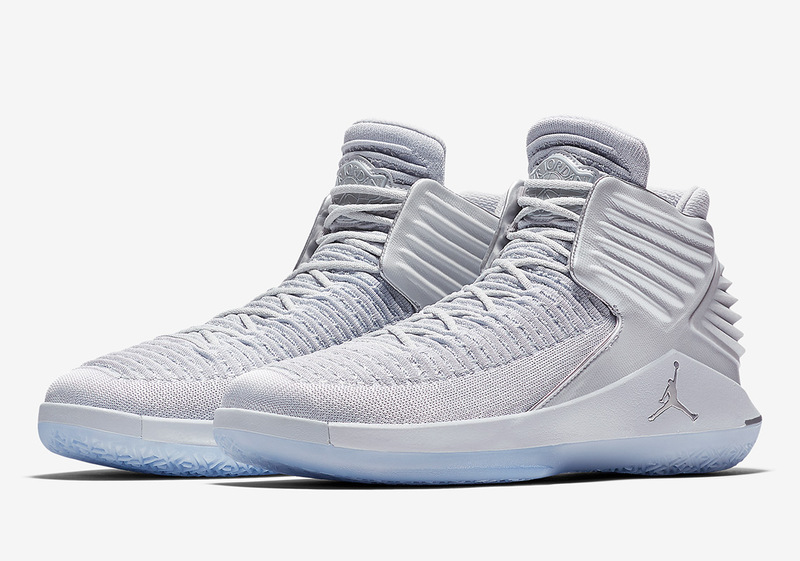 Early 2018 has proven to be a busy time for the Air Jordan 32. Being introduced in a plethora of high and low iterations, the sneaker heavily based off the second Jumpman installment is making a big name for itself. Highlighted by the incredibly limited “Italy” iteration dressed in luxe Italian leather, Jordan Brand fans should definitely start to take notice. Next up, is this “Pure Platinum” selection that is fully adorned in silver on its upper, sitting atop an icy outsole that finished off this clean look. Currently, no specific release date has been provided, but expect a drop to occur this month. In the meantime, enjoy an official look below and check out what else Jordan Brand has in store for 2018 here.